Truth isn't always black and white. Sometimes it takes the unexpected to reveal its true colors. Marti has been on her own since she was 15, determined to build a life for herself and her sister despite the threats of a man intent on keeping her from revealing his secret. Sam Evans’ turbulent teen years prepared him for the perfect job—counseling troubled youth. Then his pregnant wife walked out on their marriage and his life imploded, leaving him without a family, a job, or his hard-earned reputation. With her sister in danger, they’re forced to divulge the secrets, lies, and half-truths they’ve kept hidden from each other, and from themselves. If they can’t face the brilliant colors of God’s truth, the consequences may be deadly. Olivia has her own reasons for keeping her distance from Rashid. If Rashid learns that the baby is actually hers—and his—the sultan of Behruz will make sure she loses everything that matters to her. Their escape involves traveling with a group of nomads across the mountains into Iran. As they trek together by day and sleep beside each other in a nomad tent at night, the attraction that has always drawn them to each other grows ever stronger, Can Olivia survive the trip without revealing her secrets and without losing her heart to Rashid once again? "Sweetheart, do you want to have this conversation in the middle of the walking path, or would you rather have it on a nice stroll out of view? Tessa Tarrington's life is swirling out of control. No job. No apartment. Sick Dad...And she’s back in high school! Teaching at her Gibson's Run alma mater would be tolerable, except she’s sharing purgatory with her mortal enemy, Ryland Jessup. 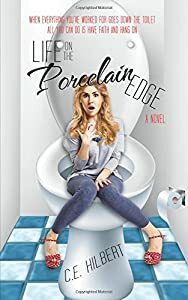 But eight years post-high-school, and after tragedies she can barely understand, Ryland no longer fits her mental image of the over-sized bully he once was. In fact, much to her disgust, he’s finding his way into her heart. After the sudden death of his wife, Ryland hung up his professional shoulder pads and picked up a whistle. Now he’s focused on coaching the high school football team and raising his daughter. The sudden return of his childhood crush, Tessa Tarrington, has reawakened long-ago feelings. But if God's giving him a second chance to impress Tessa, the Man Upstairs has a funny way of showing it. Just when Tessa starts to lighten up, Ryland's best friend returns. Will the always-irresistible Joey Taylor stifle any hope Ryland has to ignite the dream of a relationship with Tessa? If you’re a Luke Danes and Lorelai Gilmore fan, you’ll love Drew and Ti’s sparring relationship, along with Begin Again’s small-town setting, quirky characters, and family bonds. They say the past will stay in the past... but what happens if it doesn't? Blake Thompson was a man of few words and even fewer friends and with the exception of his occasional female companionship, that's the way he preferred to keep it. He'd been through the heartache and loss of love and he had no desire to feel that kind of pain again. Instead, he kept his boots on the ground, his black Stetson pulled low on his head, and focused his energy on his job and his horse. Until the fiery redhead with a backbone of steel and the body to match walked into his life, shattering his isolation. Kellina McDonald knew pain. Pain most people only faced in their wildest nightmares. 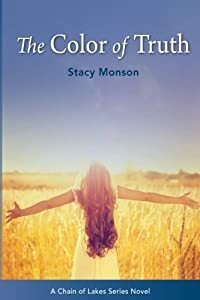 When she finally managed to escape her abusive husband, she believed it was a gift from God. The chance she and her daughter needed to start a new life free from danger and, more importantly, men. And helping her father run his bar in the small town of Lake Shores, Texas seemed like the perfect place to start. 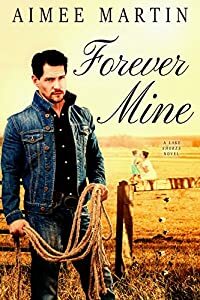 Until the tall, brooding cowboy with eyes the color of emeralds challenged her. Then it was game on. Trusting their growing feelings for each other isn't the only trouble Blake and Kell have to struggle through. When a long forgotten face from the Kell's past comes back to haunt them both, Blake might be the only one who can save her. Or die trying. How Much Should He Tell Her? Cody is a professional athlete and a decorated US Marine haunted by a dark military past. Brandi is a gutsy investigative journalist and single mom who has exposed a child-trafficking ring. When terrorists attempt to abduct her at a public theater, Cody, a stranger, saves her, but the violent incident unlocks the malignant demons of Cody's past. ˃˃˃ Is There A Pit So Deep That Even God Can't Find You? The couple is now forced to play a deadly game of hide-n-seek with the syndicate. 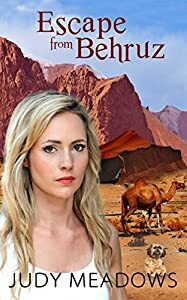 Cody protects Brandi and her three-year-old daughter, but Brandi risks her life to learn the truth about the Afghanistan incident which plunged Cody into his deep mental abyss. Was there a cover-up? 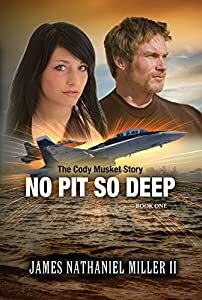 No Pit So Deep is thrilling, tragic, heartwarming, funny and inspirational; a story of honor, courageous love, and finding faith. "I see you remember our first meeting." Diego moved his motorcycle out of the way and opened her car door for her. "I'm sensing you're still mad." Trish slipped her sunglasses on. "I remember it. Goodbye. Mr. Michellli." Franco grinned. "Clearly, you didn't make a very good first impression brother." Diego lifted an eyebrow." At least I made an impression that she couldn't forget." The last thing Trish Cooper wanted was to see the stranger again who had witnessed one of her most humiliating experiences. But when her friend accepts a job with his family, Trish finds her path constantly crossing with Diego Michelli. 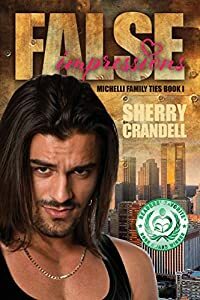 His stunning good looks, mesmerizing green eyes, and magnetism are hard to ignore, despite his dangerous streak and the Michelli family's scandals. There is also something about Diego that stirs a dark memory from her past. Trish thought it had successfully been put behind her forever, but the haunting dreams have suddenly returned, and she grows more desperate to understand why. Diego was never able to forget Trish. Seeing her again after all these years is disrupting his life and peace of mind. He sets out to make his greatest desire a reality. 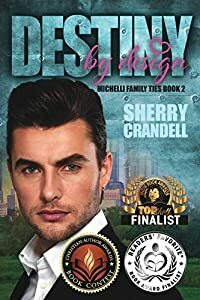 But before he can win her heart, he must first win Trish's trust and help her fight a fierce battle against the fear that has held her prisoner ever since she walked into a nightmare one day. Even after discovering their destiny could only have been designed by God, it may not be enough for either one to leave the painful past behind.